Contrary to popular belief, HMRC’s status as a preferential creditor was abolished many years ago. However, under current plans, from April 2020 HMRC will once again have preferential claims in insolvency cases – but only in respect of taxes collected and held by businesses on behalf of other taxpayers such as VAT, PAYE and employee NICs. In addition, it is proposed that directors involved in tax avoidance, evasion or ‘phoenixism’ (intentionally and repeatedly utilising insolvency procedures to avoid paying HMRC) will be held jointly and severally liable for the company’s obligations to HMRC. We understand that this particular new provision is only likely to apply to ‘repeat offenders’ who enter insolvency on multiple occasions. Here at Parker Andrews, we make considerable efforts at the outset of an insolvency to establish how problems have occurred. A by-product of this is that the directors of the insolvent company usually take a good, hard look at the business and will therefore carefully consider whether the insolvency has arisen as a result of ‘one off’ or temporary factors or if indeed the business simply does not work – a vital consideration for them before making any offer to buy the business and assets back. Accordingly we generally find, following an insolvency procedure, that the need for the directors to see us again does not arise – and in the ideal world of course, this is exactly how things should be! It does have to be said however that occasionally a second insolvency will occur, usually due to unexpected factors beyond the directors’ control. One might view the time between now and April 2020 as a ‘window of opportunity’ to seek appropriate advice if things are not going well. 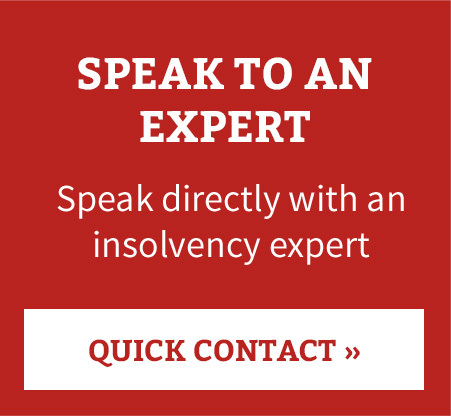 If any of your clients could benefit from a free, no obligation consultation with one of our insolvency practitioners, please do not hesitate to get in touch.